Apple is releasing 300 new emojis with its iOS 8.3 update. 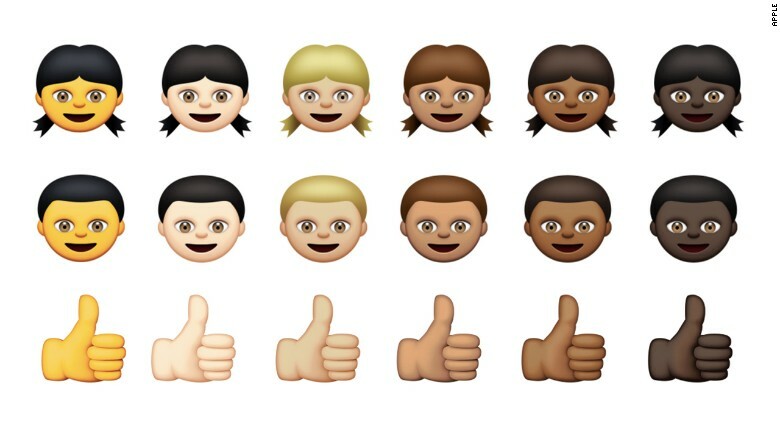 Apple’s new emojis are now diversified to represent people of all ethnicities. The updated new emojis in the “people” set can now be diversified by clicking and holding on the emoji to reveal more skin tones. All families, hand gestures and faces are now designed in a variety of ethnicities. In addition to the new people emojis, there are also 32 new flags. Apple has even updated the old watch emoji to resemble the new, and yet to be released, Apple Watch, and the phone emoji to represent the iPhone 6. Most iPhone users are updated to iOS 8.1.3. iOS 8.2 is expected to be released Monday, March 2nd, and iOS 8.3 is still in stages of beta testing, with a prospective release in April.